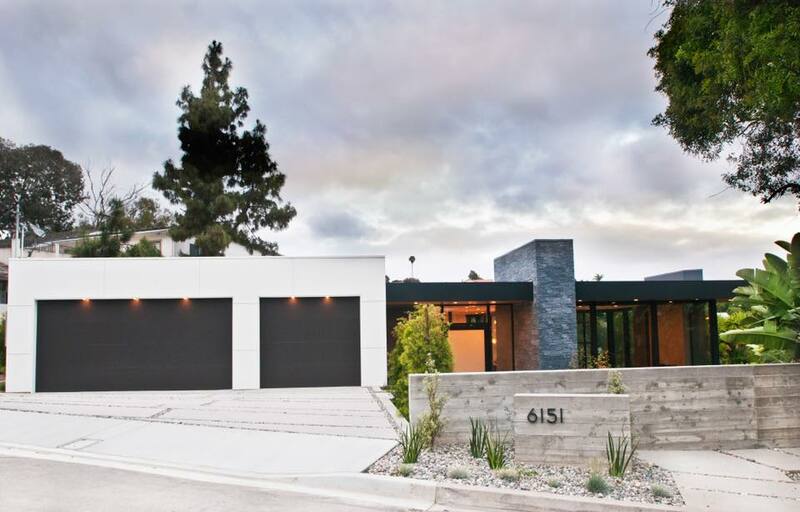 We are excited to announce that one of our listings, La Pintura Moderna, was chosen for the 2018 San Diego Modern Architecture + Design Society Home Tour! This prestigious distinction was handed out to only 9 homes in San Diego County. 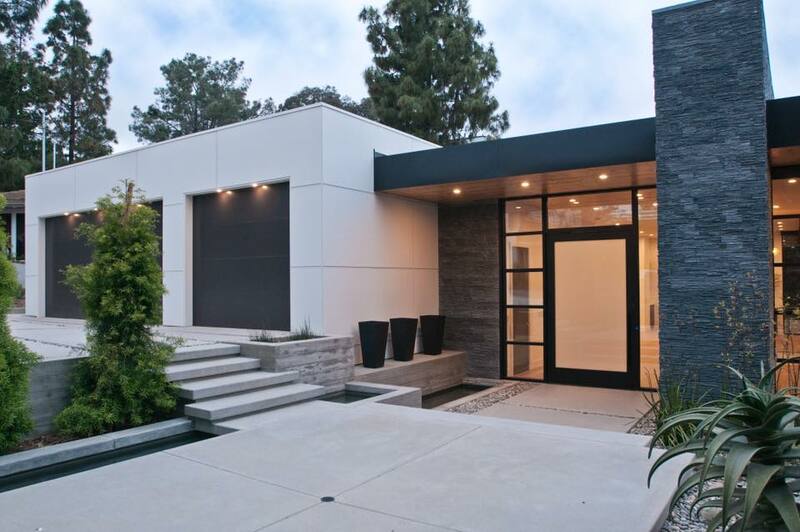 The Modern Home Tour series gives the residents of San Diego and surrounding SoCal communities a rare chance to see a selection of amazing home designs and projects completed by local architects, designers, and builders. The tour will take place this Saturday, October 13th, 2018, from 11:00AM-5:00PM. This event is on-sale now and tickets are available at the button below. We sat down with the talented team behind this gorgeous property to better understand their inspiration, the process, and much more. We hope you enjoy this interview and we’ll see you this Saturday at La Pintura Moderna! Can you introduce the team that designed and built La Pintura Moderna? Kai: The primary design and management team were Leigh-Ann Muramoto, Jon Walsh, and Kai Kenner. Leigh-Ann was responsible for the design – how the home feels up close and personal. Jon was responsible for getting it built – we call him Mister GSD. I was responsible for the architecture, project management, and for the overall vision of the home and keeping the train on the tracks. Q: La Pintura Moderna is stunning inside and out. The first thing that strikes me as you walk up to the house is how breathtaking it is. Each design element creates a perfect sense of harmony. Can you tell our readers about the inspiration behind the design and architecture? Jon: Thank you. After spending time at the site we decided to make the main living space an open floor plan with the idea of leading the viewer through the home towards the canyon. We wanted to emphasize clean lines, natural materials, and a proper use of light. Design elements grew as we worked with the natural characteristics of the site, such as the terraced front yard which follows the natural slope of the lot. Kai: Our vision for the property was a timeless and serene modern retreat. We designed the home around themes that people always appreciate regardless of the trends of the time. So the architecture evolved around the quiet canyon, high ceilings, open spaces, indoor/outdoor living, and floor-to-ceiling glass walls. We downplayed contemporary elements such as curves and pop-outs in favor of clean, modern lines. The main living areas such as the kitchen, great room, and master bedroom are oriented towards the canyon so those important areas of the home always have a view of natural beauty. Leigh-Ann: The inspiration for the home sprang naturally from the surrounding treetops and the canyon. We had many dinners together at the site, visualizing the space and discussing how to best capture the surroundings. We chose a subdued color palette that would complement the natural beauty of the site. 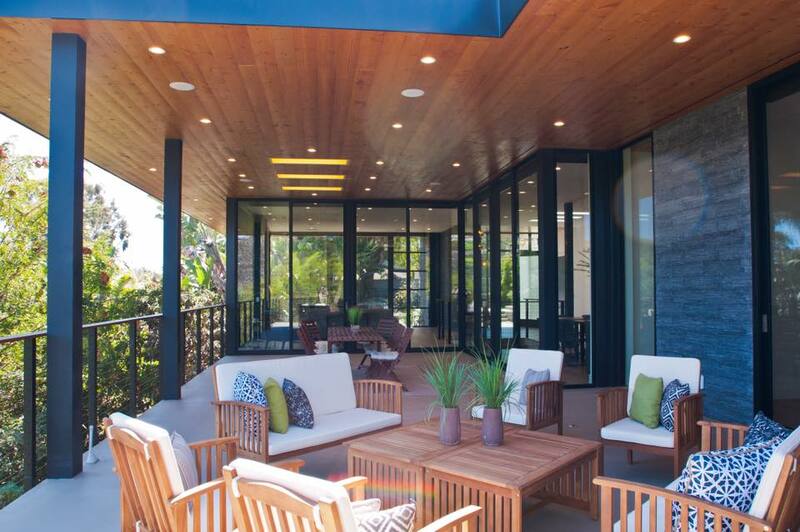 San Diego is an ideal locale to play with indoor-outdoor concepts. 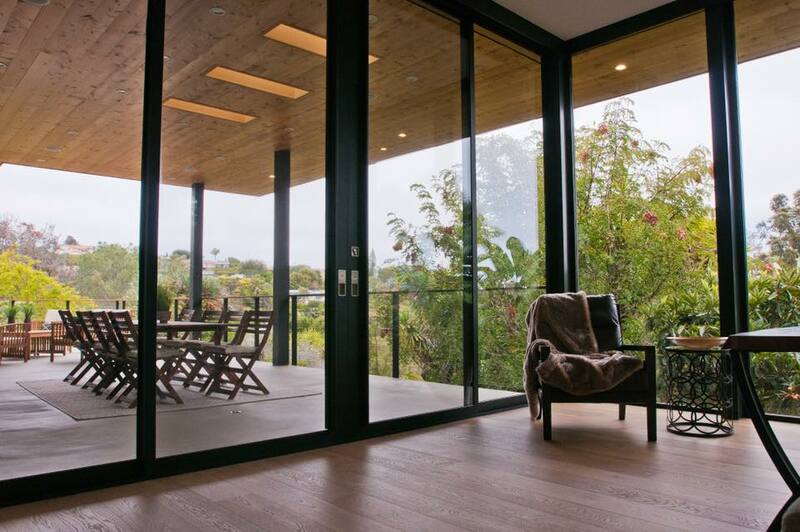 We used floor-to-ceiling glass walls to blur the line between indoor and outdoor spaces. We also extended the roof over the outdoor deck creating an additional 800 square feet of living space that the owners can enjoy in any weather. Q: It’s a prestigious distinction to be chosen for the MA+DS Modern Hour Tour, as only a few homes make the cut; what does that mean to you? Jon: It’s an honor and means a lot given both the time and effort we spent on the home, and also due to how much we enjoy modern design. To be recognized for our work is very rewarding and we’re also happy that more people are able to see the home. Leigh-Ann: It’s also a great opportunity to learn and to get feedback from the modern design community. And we’re grateful to MA + DS for fostering an appreciation for modern architecture in home design. Q: La Pintura Moderna is truly a special home. What are your favorite areas or features of the home and why? Leigh-Ann: My favorite area is the front entry, it sets the tone for the rest of the home. As you walk towards the 9 foot tall glass pivot door, there is a flowing water feature to the left. To the right is a massive structural shear wall that anchors the home and balances the transparency of the glass walls. We clad this wall in grey stacked slate to give it a solid, grounded feel. We continued this theme of stacked slate with the other structural walls in the home. The wood cladding under the eaves ties in with the warm, wood floors. We repeated these elements throughout the home to create a cohesive, calming feel. The overall effect is a fluid but grounded experience. 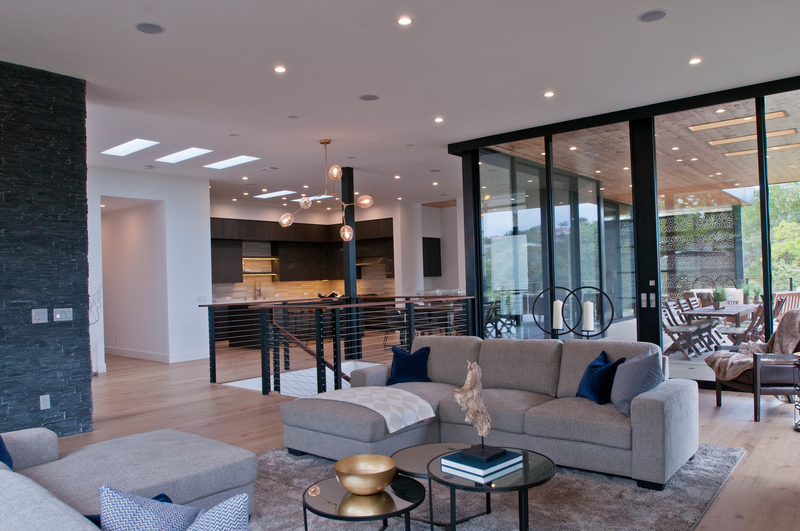 Another feature that adds a lot of dimension to the house is the thoughtful use of skylights and clerestory windows. They ensure every area of the house is lit with plenty of natural light. 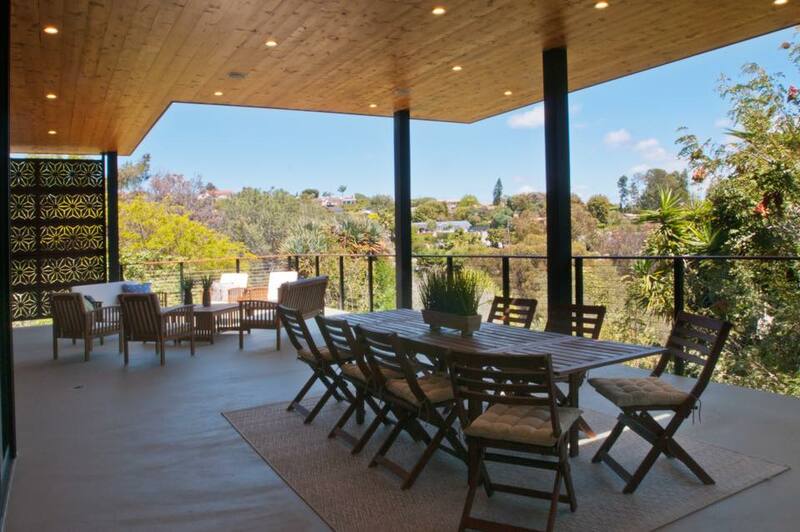 Jon: I like the sightlines through the entry and the sensation that you’re being pulled out to the canyon-facing deck and sitting up in the trees. Kai: My favorite design elements are the views of the surrounding nature, floor-to-ceiling glass walls, open floor plan, and the covered indoor-outdoor deck. As Jon touched upon, I love being surrounded by the treetops and sitting on the deck, looking out across the canyon. I also love the two-person walk-in shower! I always try to fit a huge shower into a master bathroom plan. Leigh-Ann’s design uses a light colored tile on the short ends of the shower to ensure the shower feels light and bright, while the darker tile on the floor and longwall ties in with the rest of the bathroom. 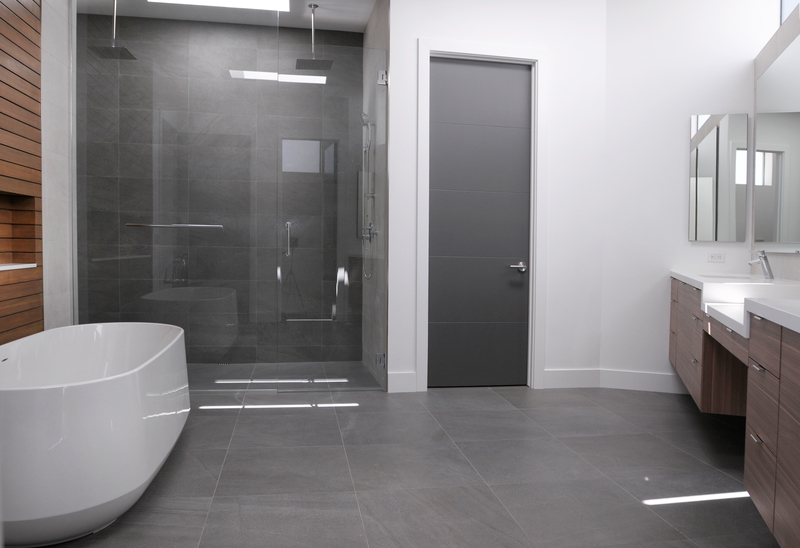 And Jon did a great job designing the linear trench drain – it’s entirely functional but beautifully elegant because it blends in so well with the surrounding tile. Q: The before and after photos are unrecognizable. How did you know La Pintura was the right house for your project? What were the main features that caught your attention? Leigh-Ann: A few years ago we designed and built a house on a site which was similar to La Pintura. We learned so much from that project and we were excited to apply our learnings to a new project. Like La Pintura, the house was on a canyon lot with a reverse floor plan where you enter at street level and the secondary rooms are below. The reverse floor plan takes full advantage of the canyon views and lets in the most light to the main living areas. Q: What was the biggest challenge you faced during the entire process? Jon: The sloping site was difficult to work with and it slowed the construction process. But designing with the slope gives us an opportunity to create interest, so it balances out in the end. Kai: We also had three opinionated, creative people working on an inspirational project. We knew from experience that we would need clear principles to guide our decisions as a team. Fortunately, the three of us have a great working relationship and a good vibe with each other, so all the decisions and work effort flowed easily. Q: Are you planning or already working on your next project? Kai: We’re in the design and planning stages on a few multi-family projects located in Mission Hills and North Park. These are new construction projects with modern designs. We chose the sites because they’re in great neighborhoods with quiet, walkable streets. We aren’t working on any single-family homes at the moment. La Pintura Moderna was a unique project, so we’re always on the lookout for similar projects where we can create something special and memorable. We live in beautiful, temperate, Southern California. We’re grateful whenever we can express a connection to the natural surroundings through our creative work. Ready To See La Pintura Modern In Person? La Pintura Moderna is truly a jaw-dropping property that must be seen in person to admire its beauty. If you’d like the chance to see it, make sure you attend the 2018 MA+DS Modern Home Tour this Saturday, October 13th, from 11:00AM-5:00PM. Be sure to purchase your tickets at the button below! If you’d like to get in touch with Stone Lion Properties, click here to learn more! To learn more about La Pintura Moderna, please contact Gabhart Investments, at (858) 356-5973. Purchase Your Tickets for the 2018 MA+DS Home Tour Here!